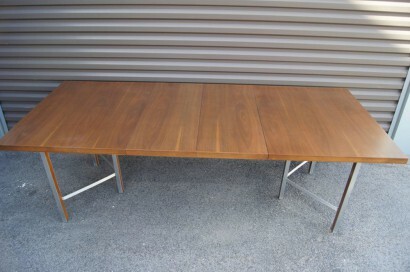 Paul McCobb designed this striking dining table as part of his Irwin Group Collection for Calvin Furniture. 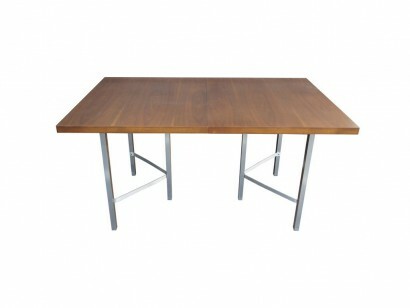 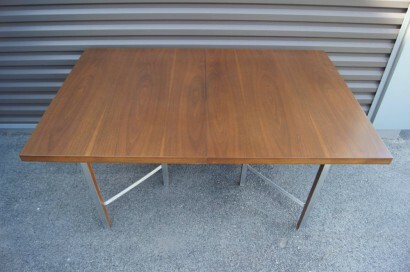 The walnut top perches on slim angled aluminium legs. 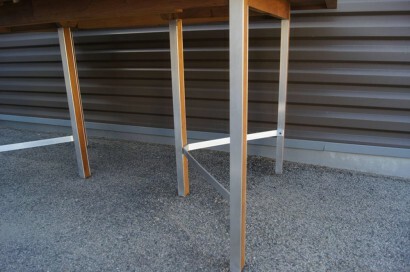 Two 15″ leaves allow the table to extend up to 90 inches.